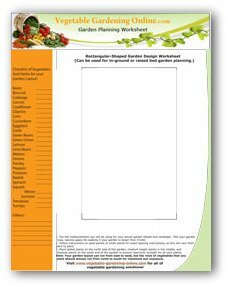 Download Our Free Vegetable Garden Planning Worksheets to Help you get Started! Planning a vegetable garden layout can be one of the most fun parts of gardening! 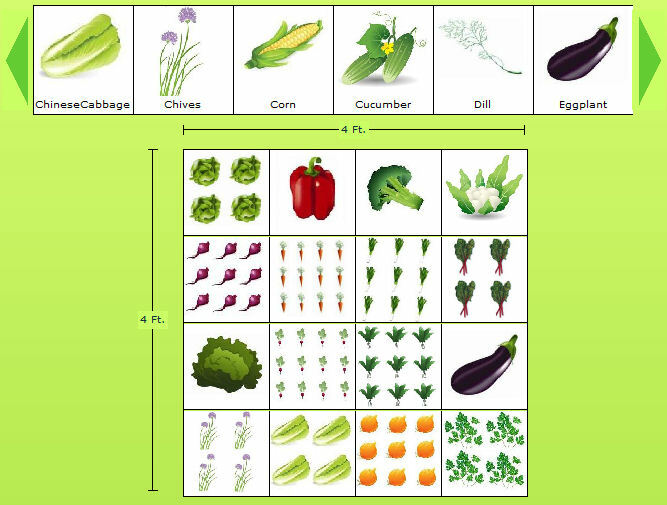 You can plot your garden on paper to help determine the size, shape, and amount of vegetables you can grow. 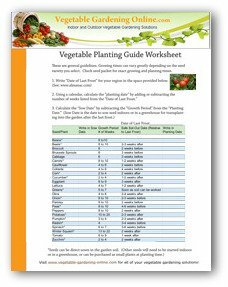 Use our free online Vegetable Garden Planner to design a veggie garden that works for you! 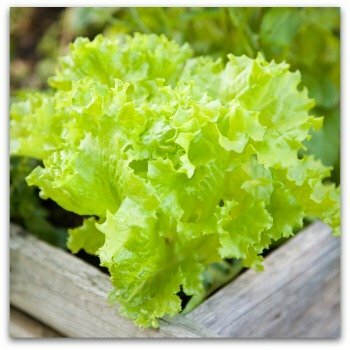 Then you have the fun of choosing exactly which vegetables you will plant in this year's garden! Gardening Diary to keep notes for next gardening season! An attractive and productive vegetable garden is a source of pride that also provides a bounty of fresh wholesome produce. A wealth of pleasure awaits you while implementing a well-designed garden plan. It helps to keep your garden plan as simple as you can, so that it will be mostly enjoyable and not a huge chore. If you learn to really love gardening, you can always increase the size and complexity of your garden plan next year. 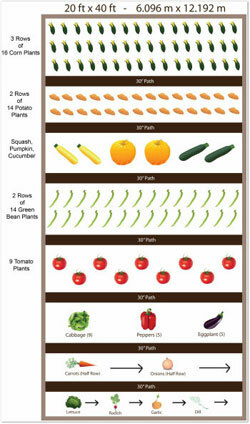 What Type of Vegetable Garden to Plant? 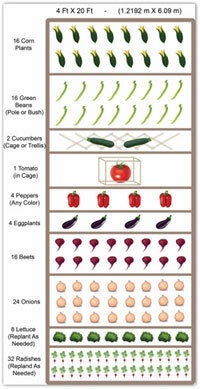 There are many ways of growing vegetables in a home garden. 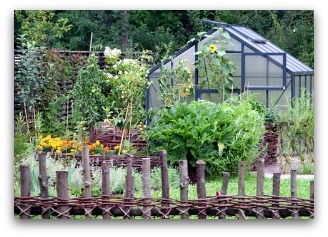 Backyard gardens are the most traditional and typical types of plots. 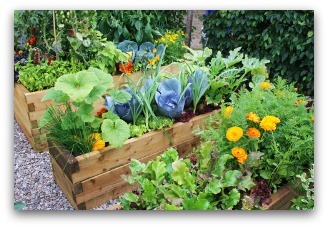 However, many gardeners are discovering the joys of container gardening, raised bed gardens, and square foot gardens. These types of gardens are great for beginner gardeners, and those who don't have the time or physical strength to prepare, plant, and maintain an in-ground garden. If simplicity is what you want, please use the links above to see the articles devoted to these specific types of gardens. Once a site has been selected, measure the garden so you will know the square footage of the area. Factor in space for extras such as cold frame, rain barrel, storage shed, compost bin, and greenhouse when possible. Situate these items where they will not encroach on your primary planting ground. When planning a vegetable garden layout, draw the proposed plot to scale, laying out the beds and walkways. Garden beds or rows are usually three to four feet wide and run north to south. Make garden paths about two or three feet in width. Do not despair if you do not have a big lot for planning a vegetable garden layout. A 500-square-foot space (or 25' x 25') can go a long way toward supplying a family of four with fresh healthy vegetables. A small, well laid out garden with its beds oriented north and south for optimum sun exposure is preferred. Picture a plot 4 ft. wide by 20 ft. in length. With a four foot width, there is no need to waste space for paths, as you can reach the center of your garden from either side. On the west end of the vegetable garden layout, make room for a compost bin in the most northern corner. Beside it, moving to the south, place your storage shed. Continuing south, leave a spot open for the rain barrel. Next, in the garden layout, the walkway starts just beyond the water barrel. Past the path, heading south put your cold frame. Last, but not least, the greenhouse goes in the southern most corner of the garden. 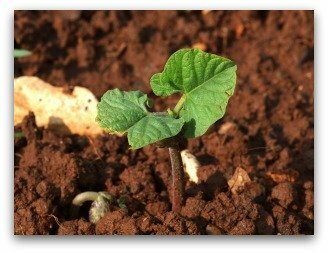 Plant tall crops that cast shade, such as beans and corn, in the northern half of the vegetable garden. Group perennial vegetables together, preferably along the edges. A small hedge placed around the site can provide protection from the wind. 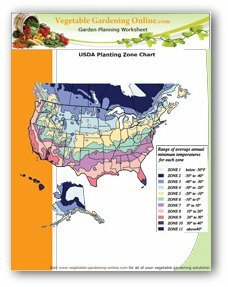 Consider sunlight, soil, and climate when locating the ideal garden spot. Cold air drains downhill and tends to collect in low-lying areas. The coldest and most frost prone location is at the bottom of the hill. The warmest site is always at the top of the slope. Healthy Soil is Very Important! Prior to planning a vegetable garden layout in-ground, it is a good idea to have the soil tested by your local extension agent. 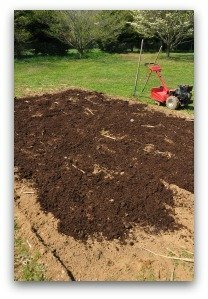 Most garden soil will benefit from adding a layer of compost that includes well-aged manure to add fertility. Do as much as possible to increase soil fertility and condition, because keeping your plants healthy is key to your gardening success! Soil tests reveal what type of soil you have to work with and the minerals it already contains. This information is handy for your next step to gardening success; balancing the key soil ingredients to supply your growing plants their ideal nutrients and soil condition. A compost pile recycles valuable garden wastes by facilitating its rapid breakdown and decomposition into a humus rich fertilizer. You can construct a simple compost bin with posts. For the best results, a compost pile needs to measure at least 40 cubic feet. An important tip before you plant is to include some herbs or marigolds when planning a vegetable garden layout. They attract beneficial insects, add color and vitality to the scenery, and the herbs will spice up your home cooked meals. Just don't eat the marigolds!